Widespread pictures of a Qantas A380 Airbus with a demolished Rolls-Royce engine hanging on the wing only serves to fuel the flames of flying phobia. New York, NY – November 8, 2010 — CTRN: Change That’s Right Now, the expert phobia organization, has responded to the recent Qantas mid-flight scare explaining the link between dramatic air-disaster news events and the mind’s own mechanism for creating intense fear of flying. Fear of Flying is unusual among serious phobias because hardly any of the people who have it have actually experienced a real traumatic event on a plane. An intense past experience is one of the leading causes of all phobias, but not, it seems, of flying fear. “Almost all of the people who come to us for help with fear of flying run vivid ‘disaster movies’ inside their mind.” says Seymour Segnit, Founder and President of CTRN: Change That’s Right Now ( http://CTRN.com/Fear-of-Flying/ ), “The truth is, no-one really has a fear of flying, they have a powerful fear of crashing and it is fueled by powerful internal pictures and movies that scare them to death. Segnit’s team at CTRN know that many of the aviophobia-inducing movies people with fear of flying play in their heads are inadvertently ‘installed’ by the media. TV dramas and movies as well as the networks and 24-hour cable news cycle often show planes dramatic disintegration: the perfect images for the flying-phobia inclined. 1: Never ignore your doctor, but go easy on the drugs and eliminate them if you can. There is no drug designed specifically for fear of flying, so any you take won’t get to the root cause, and may have significant side effects. 2: Understand that the thinking comes first, not the fear. If you notice the fear starting, just thinking nice stuff won’t make a really big difference. You need to immediately interrupt the fearful thought patterns. Do that dramatically enough and the mind will break the neurological associations at the heart of the problem. 3: Get specialist help – and make sure the solution you choose gets to those internal thoughts, pictures and movies: they are the root cause of your flying phobia. CTRN: Change That’s Right Now was founded in 2002 to help anyone rapidly vanquish fear of public speaking, stage fright, fear of flying and driving and other fears, phobias and anxieties like emetophobia. With customers in over 70 countries around the globe, CTRN has developed a deserved reputation of discreet help for serious fears and phobias and is recognized as one of the leading organizations in the field. 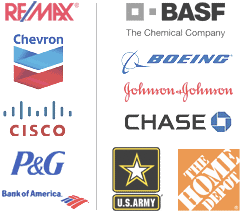 CTRN creates ‘Change That’s Right Now’ for clients from stay at home moms to Fortune 500 executives. CTRN can be reached at 800-828-7484 (+1-650-249-5120) or online at http://www.ChangeThatsRightNow.com .